Fans already have purchased tens of thousands of tickets to hear Obama share stories from her memoir, “Becoming,” in basketball arenas in 10 cities. Combined with the celebrity-laden rollouts of her latest projects, the former first lady is demonstrating a mix of uncommon star-power and bankability while advancing themes that have long mattered to her. 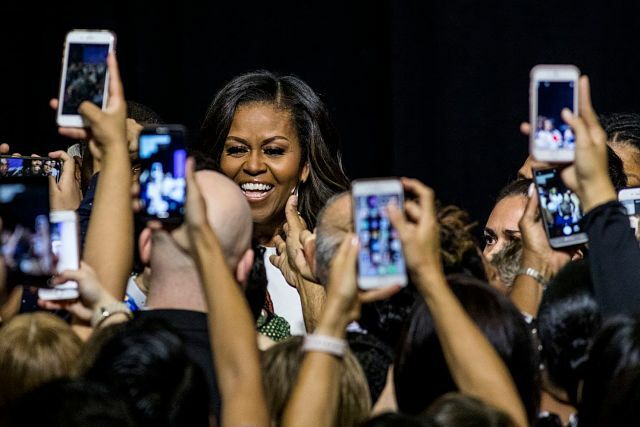 Obama, 54, feels liberated after a decade in an unrelenting political spotlight where she was tethered to her husband’s career and a White House role marked by both opportunities and constraints alike, say those who know her well. They say she is reveling in the chance to develop meaningful pursuits entirely her own. Today on a New York television stage, Obama unveiled a project intended to help educate tens of millions of adolescent girls denied the chance to finish high school. The Global Girls Alliance, developed quietly over the past year, scored an hour of coverage on NBC’s “Today Show,” ending with a concert by Jennifer Hudson, Meghan Trainor and Kelly Clarkson.